Writer-lyricist Javed Akhtar and his wife, actress Shabana Azmi hosted their customary Holi party at their Mumbai residence. Shabana Azmi rejoices at her annual Holi bash. Shabana along with the guests. Taimur Ali Khan was spotted playing Holi at the balcony of his house. The 2-year-old was seen playing with a pichkari. The little munchkin, is without a doubt a media favourite. Taimur was happy as he posed for the shutterbugs. Playing with a pichkari, Taimur was spraying it outside his balcony. Divya Dutta spotted at the Akhtar-Azmi residence. 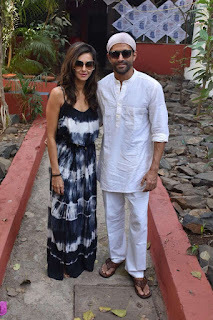 Farhan Akhtar and Shibani Dandekar make their way to the Akhtar-Azmi Holi bash. Farhan and Shibani pose for the shutterbugs. A sneak peek into the Holi arrangement at Shabana Azmi's party. 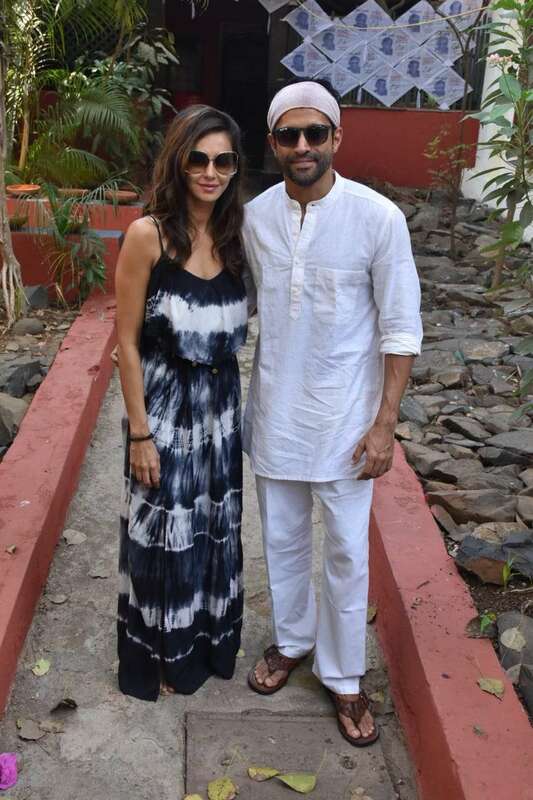 Zoya Akhtar at Shabana's Holi party. Mandana Karimi spotted at the Zoom Holi bash. Jacqueline Fernandez arrives at the Sunburn Holi Bash in Mumbai that will see DJ Snake perform.